Marvel has released several teaser images about an all new comic series planned for 2017. We can gather that Secret Empire will be showcasing a new crossover line-up. The center of the new series will be Captain America and follow on from the Secret Wars event. The most recent teaser was the most revealing yet about the characters we can expect, including Captain Marvel, Deadpool, Logan/ Wolverine, Spider-Man and Rocket Raccoon. 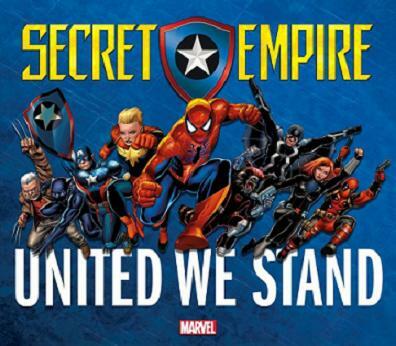 The Secret Empire first appeared in Marvel comics back in the 1960s as an enemy of Captain America and SHIELD. A possible foreshadowing of this storyline may be occurring in US Avengers #1, scheduled for March 2017. An official release date has not been confirmed, but the expectation is that this title will reach comic book stores by the summer 2017.